JOIN AND SUPPORT US ! The idea of uNopia seemed obvious to me when I was looking to combine seemingly contradictory desires: a yearning for freedom through travel, my passion for the piano (second only to the organ when it comes to stationary instruments! ), and the aspiration to modernise the world of “classical” music. Recognising that this kind of music requires initiation or else instant attraction, but also avoiding any elitism or preconceptions of social class, I sympathise with the idea of utopia as described by Thomas More in the sixteenth century. His book, Utopia, was at once a travel narrative and a rational project to establish an ideal society. For him it was about expanding the field of literary and political possibility. Let us do the same in music! My experience with concerts, various audiences, and especially “forgotten” audiences like those in boarding schools for youth in difficulty or in prisons showed me the immense impact of this music that I was raised on. Considering that this music can touch the heart of whoever, wherever and whenever, we must go, cross the borders, bring the music to its audience … We must play everywhere, all the time! A truck fitted out on stage being able to welcome a grand piano and of the material of sound system and lighting. Music transcends borders and makes up part of the common culture of Europe. Our wish is to bring this music directly to all by way of a tour stopping in many countries during the month of August 2020. The uNopia project consists of two stages: a French leg of the tour followed by a European one in 2020. For its 2020 season, uNopia is planning a travelling musical adventure across Europe: a large caravan celebrating European culture heritage with stops in the lands of Debussy, Beethoven, Bach, Dvořák, Bartok, Chopin, and Tchaikovsky. 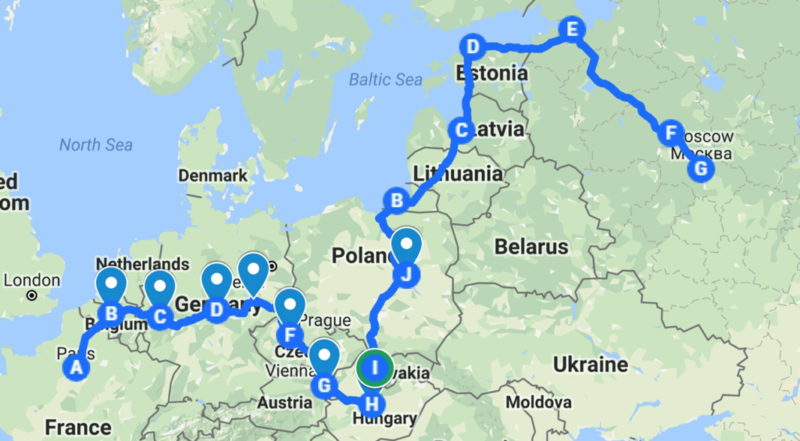 The tour itinerary has been designed around a crossing of Europe from west to east, starting in Paris and ending with a grand finale in Moscow. uNopia will therefore cross 12 European countries: France, Belgium, Germany, the Czech Republic, Austria, Hungary, Slovakia, Poland, Lithuania, Latvia, Estonia, and finally Russia. 17 cities will host the musicians so as to share classical music with the broadest, most varied public possible. uNopia will adapt its programme to pay tribute to the great composers and musicians of the countries on this musical adventure. We will, for example, celebrate Bach and Beethoven in Germany, Liszt in Hungary, and Tchaikovsky in Russia. Moreover, we will invite a local musician to our concerts in order to showcase each country’s repertoire and the diversity of classical music. We would like to organise large, open-air public concerts in the squares of the cities and villages crossed. Reviving the medieval tradition of minstrels who spread the cultures along their routes and returned home more experienced and with enriched perspectives, we want to re-establish this ancestral link and make this musical adventure a great human and artistic encounter. And this is what gives the originality of our project its sense: the stage truck, mobile and independent, makes it possible to think of each space as a concert venue. Open to the world, the stage comes directly to the spectator. 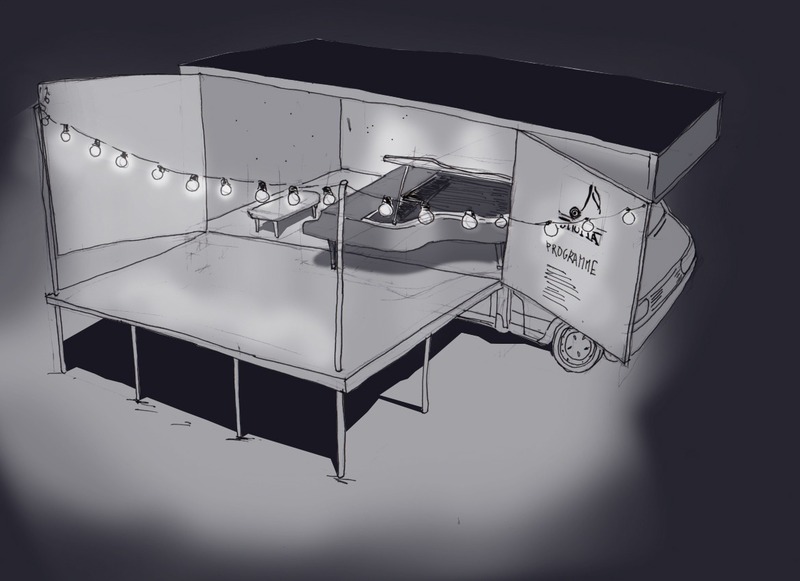 A privileged environment for the artists and public to come into contact and interact, this stage will be specially fitted to the inside of the truck that will accompany the tour. The truck can accommodate a grand piano, sound equipment, and lighting. Capable of opening and attaching to a platform, it offers a spacious stage for the musicians. In addition, a video crew will follow this great human adventure. The crew will record rehearsals, concerts, and meetings to enrich public relations and produce a documentary series.